The ocean welcomed the Maui Pink Cap Swimmers with a glassy-smooth silken embrace this morning. What a joy skimming along with no resistance. 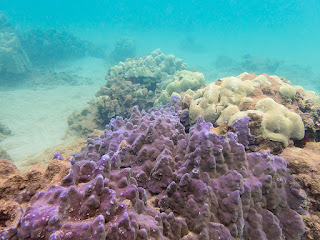 Besides a few turtles, we encountered some spectacularly purple coral.